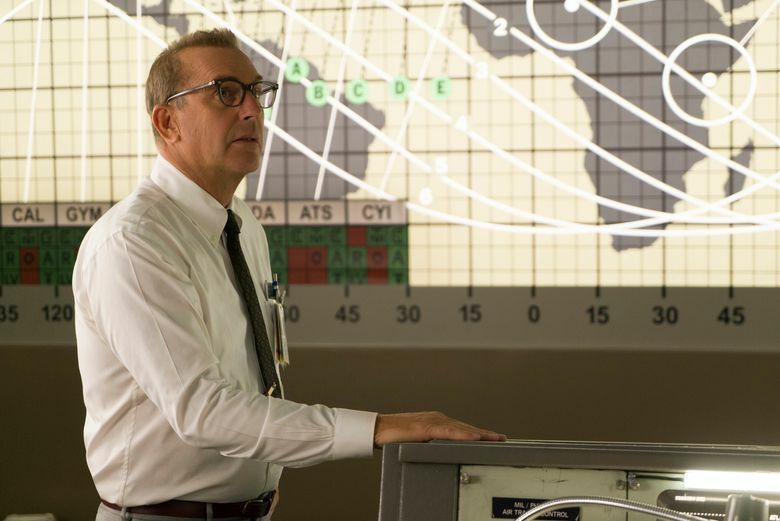 Theodore Melfi’s film is based on a book by Margot Lee Shetterly about three women who worked at NASA and its precursor — and feels utterly fresh for our times. Rates 3 and one half stars out of 4. A crowd-pleaser of the very best kind, “Hidden Figures” introduces us to some heroes whose names we should already know. Katherine Johnson (Taraji P. Henson), Mary Jackson (Janelle Monáe) and Dorothy Vaughan (Octavia Spencer), three African-American women who grew up in the segregated American South, began working at NACA (National Advisory Committee for Aeronautics), the precursor to NASA, in the 1940s and ’50s. All mathematically gifted, they initially worked as computers (back when the word simply meant “a person who computes”) and faced overwhelming barriers to success due to their race and gender — but all went on to have pioneering and inspiring careers at NASA, where each was instrumental in the early space program. Theodore Melfi’s film, based on a book about the trio by Margot Lee Shetterly, takes a few liberties with the details; it feels like a screenwriter’s convenient invention that these three women were best friends who commuted to work together. But the setting feels utterly fresh — it’s fascinating to hear Katherine’s boss (Kevin Costner, in a Tom Hanks-like role) telling her that they’re in pursuit of “math that doesn’t yet exist” — and the cast finds conviction in every scene. The details of life for these women in 1961, when the movie’s story begins, are vivid and striking. Katherine, in a bright office dress, stands out in a room full of white men in white shirts, wondering if she’ll ever belong. (One of them promptly mistakes her for a janitor.) She drinks from a separate coffeepot, and several times a day has to race across campus — in heels — to use the one designated “colored ladies room” half a mile away. Dorothy, seeking a book that will teach her about FORTRAN, gets thrown out of a public library for daring to browse in the whites-only section. Mary, who dreams of being an engineer, is told even by her husband that a woman can’t possibly do such a thing — and has to go to court to get permission to take courses at a segregated night school. ‘Hidden Figures,’ with Taraji P. Henson, Octavia Spencer, Janelle Monáe, Kevin Costner, Mahershala Ali, Kirsten Dunst, Jim Parsons. Directed by Theodore Melfi, from a screenplay by Allison Schroeder and Melfi, based on the book by Margot Lee Shetterly. 127 minutes. Rated PG for thematic elements and some language. Several theaters. 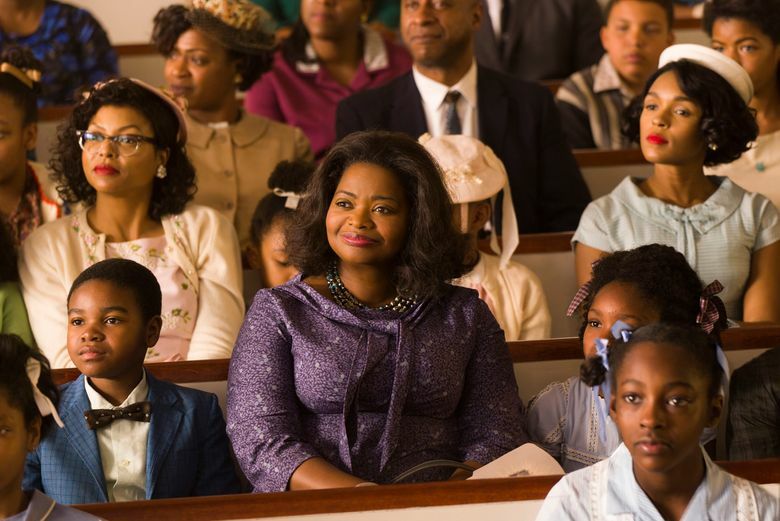 Nonetheless, they persevere, as all great heroines do: By the end of “Hidden Figures,” you’ll want to cheer them, particularly Henson’s soft-voiced Katherine, whose glasses have a way of slipping down her nose while her mind races like a NASA rocket. Late in the film, a door is quite literally slammed in her face and then, miraculously, opens — for her, and for many others after her. Here’s hoping lots of little girls get taken to this movie (it’s a family-friendly PG) and find a few new ways to dream.